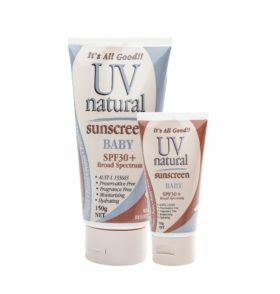 UV Natural Sunscreen SPF30+ | UV Natural Australia - it's All Good! Offers natural ingredients that are moisturising and easily absorbed by the skin, giving a flawless and non greasy feel with no lasting odours. It is important to wear protective clothing, hats & sunglasses and avoid prolonged sun exposure. Always read the label. Use only as directed. Been using this for about 6 years now and can’t live without it! 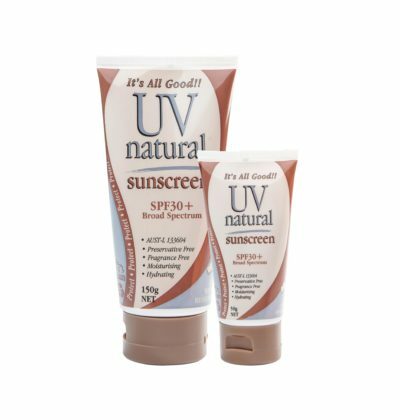 I have dry sensitive skin tending to rosacea and this meets all my needs for a sunscreen! 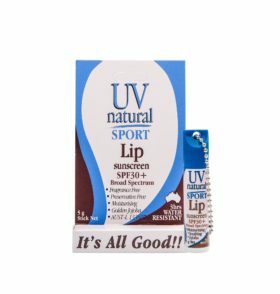 It has reduced all the above symptoms with regular use, even lightly applied to my face in winter. It acts as a moisturiser too, due to its grape seed oil base and this can make it difficult to remove but an oil based cleanser fixes that no problem! I only apply one a day and very rarely need to reapply. I think it’s because it’s a physical sunscreen so does the job as long as it remains on the face. On days I don’t use it my face feels dry and sensitive so it has become part of my daily morning ritual. As a professional beauty therapist I can honestly say that this product is fabulous! You can apply make up on top or mix a little bit with your foundation then apply. A light dusting of powder fixes it but can feel a bit heavy. Most definitely a case of using less is best. A little goes a long way so it’s good value too! 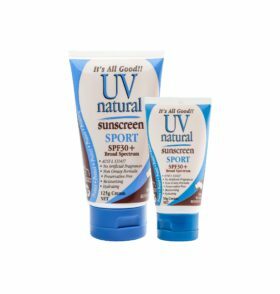 I bought this sunscreen for my son who can not use standard sunscreen due to sensitive skin, chemical sunscreens give him a nasty rash. He has no issues with this lovely sunscreen and uses it daily. It is very moisturising for the skin. I use it for myself as well and love that it has no chemicals! Fabulous.